Here's what MuscleTech-sponsored athlete Lawrence Ballenger would tell his 15-year-old skinny self about getting huge in a hurry. Sometimes, life sends you a powerful message in the most embarrassing of ways. "When I was 15," recalls Lawrence Ballenger, now 30, "we had Thanksgiving at my cousin's house with our family and friends from church. My cousin had just gotten one of those cheap bench sets—the ones with the plastic-covered weights. After dinner, a huge group of us decided to try them out. Someone put 50 pounds on the bar, and everyone took turns to see how many reps they could do." When it was Ballenger's turn, his cousin un-racked the weight and held it in position for him. When his cousin released the weight, the bar hit Ballenger's chest so fast it knocked the wind out of him. That was embarrassing enough for the young boy. Then, it got worse. "Everyone was dying of laughter," Ballenger says. "Then someone had this great idea of asking this girl upstairs who I had a big crush on if she wanted to try. She did 22 reps! I'll never forget it." At the time, Ballenger was 5 feet 2 inches tall and weighed a whopping 105 pounds. He had never paid much attention to physical fitness before, but he was suddenly motivated. "The next day, I told my sister everything that happened, so she picked up a Muscle & Fitness magazine, took me down to the local YMCA, and got me started," Ballenger says. Today, Ballenger sports 250 chiseled pounds of rippling muscle on his 6-foot frame. Here are 5 tips the Ballenger of today would tell his younger self to help him pump those 50 pounds like it was an empty bar. Looking back now, Ballenger would tell himself to change his dietary choices—drastically. "One summer I gained 80 pounds, which was great, but then it became almost impossible to put on more weight," Ballenger says. "When you're trying to pack on pounds, people are telling you to eat tons of fast food, peanut butter and jelly, and pizza. No one could tell me what to eat or when to eat it to build lean muscle, and that's what makes all the difference." "First, I'd start drinking protein shakes," he says. "The liquid calories are easier to get in, and they can help you eat a balanced diet. Back then, my daily ratios were way off, with too many carbs and not enough protein. I'd also tell my younger self to eat a lot cleaner. Just because something is 1,000 calories doesn't mean it has the right nutrients. I'd tell my younger self to eat good quality chicken, steak, rice, and vegetables—all those clean foods you never see on commercials." Today, Ballenger does three whole-food meals a day, plus three protein shakes in between. "I'd suggest 50 grams of protein in the shake paired with a low-glycemic carb, like sweet potato. I do 100 grams of protein in my shakes, but that's pretty high for most people, so 50 grams is fine." He admits he's not perfect, though. "Every now and then, I'll do Oreos as my 'carb,' but I wouldn't necessarily recommend that," he says. "Take time to learn how to properly do the bench press, squat, deadlift, and overhead press," Ballenger says. "Learn those lifts, and you can go heavy and build more dense muscle." You can also benefit from having an expert or trainer show you the ropes, he says. Having someone film you doing the moves helps, too, so you can watch yourself and see where your form may be off. As for where these four basic lifts should fall within your workouts, it depends on your goal. "If you want to get better at sports, build your workouts around these four lifts, but do them first and follow them with your sports-specific exercises," Ballenger suggests. "But if you're pursuing bodybuilding, you should focus on body parts." "That might seem like too many workout days for a beginner, but when you're new at this, you're going to see the most growth," Ballenger points out. "When you just start out, you'll see more benefits and you're extremely motivated to do something. Why not go all out then?" "After you've mastered the big lifts, it's all about learning intensity," Ballenger says. "Most people will stick with 8-12 reps and however many sets, but they're not really pushing themselves to their utmost limits. They may be leaving the gym sweaty, but are they torching their muscles? Are they getting sore?" The best measurement of work done in the gym is volume: The number of sets and reps, and the weight you're lifting. You can build your workout around 8-12 reps, Ballenger says. Just make sure reps 8-12 are extremely difficult. "On some exercises, you'll feel like you need a spot by the 10th rep," he says. "The 12th rep should feel almost impossible, and sometimes it should be, since you should be using a weight that's causing you to hit muscle failure by that point. It's about always pushing yourself to your uppermost limits." Ballenger is also a firm proponent of changing up your rep schemes to shock your body into new gains. 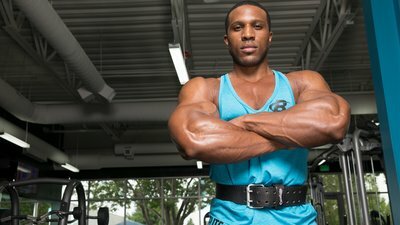 "Sometimes I get stuck in the 8-12 rep-scheme rut, so I switch to 2-5 heavier reps, or do 30-plus rep sets with 15-30 second breaks," he says. "That way, you're learning to hit your type II fast-twitch and type IIx transitional muscle fibers—and those 30-rep sets get lots of blood flowing into your target muscles." "When I was a beginner, everybody told me not to do cardio because it would stop me from gaining mass," Ballenger says. "I discovered that it was the exact opposite." Without increasing his body's ability to take in more oxygen, he says he'd struggle to go beyond 10 reps.
"I couldn't transport enough oxygen or recycle lactate well enough, and higher reps left me gassed," he says. Now he does regular HIIT workouts, pairing quick bursts of alternative cardio activity, like sled pushes and pulls, with very short rest periods. "I like pushing heavy things," he says, "but if you're not into that, you can also do hill sprints, normal sprints, jump rope—anything that can get you an intense workout." "Some people believe this old-school myth that creatine monohydrate is a steroid, or that it'll bloat you or make you feel sluggish," he says, "It can help your body retain water—but the water is drawn into your cells and can make your muscles look fuller. It's not the kind of water retention that makes you look fat. 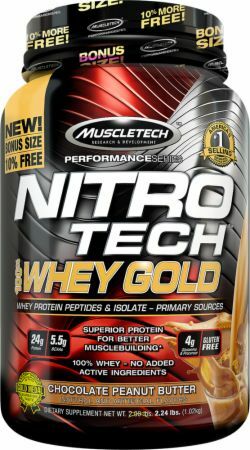 I think it's one of the best supplements out there. I haven't stopped taking it since I was 22, and wish I'd taken it before then." Ballenger says he'd tell his younger self to take specific supplements during training sessions. Currently he takes beta-hydroxy beta-methylbutyrate, known as HMB, because it prevents the breakdown of proteins in his muscles. He also takes a mix of BCAAs and liquid electrolytes, which, he says, are a great way to stay hydrated.